Keeping customers coming through the doors is a challenge for stores large and small. 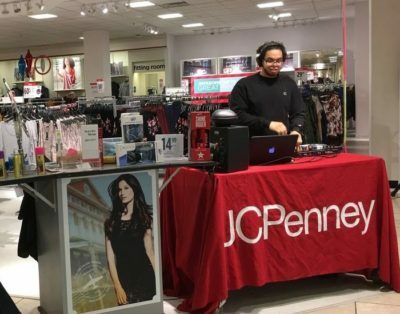 According to a post-Black Friday Associated Press article, a JC Penney branch in NJ “was trying to make shopping in person more exciting with a DJ in the store.” The accompanying photo implies that this attempt may not have been a rousing success. In an important recent Fast Company article about the future of retailing — described accurately as a “long read” — author Austin Carr cites the fact that adding “frivolous attractions” like this one does not create an inviting store experience. What he does see succeeding is offering an elevated and personal experience created to appeal to the store’s target market. 1. Successful retailers will feature products that customers can’t get elsewhere. 2. Successful retailers will deliver a satisfying experience. 4. Successful retailers will resurrect the art of selling. Austin Carr’s article, which appeared in a shortened version of the December 2017/January 2018 print edition of Fast Company, focuses on how small chains and larger stores like Target can do well in the age of Amazon. 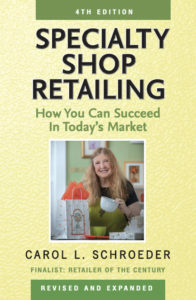 But independent shops are often able to adapt to these guidelines for becoming a “successful retailer” more easily than the big guys — just as we would naturally be in tune with whether or not our customers would enjoy grooving to a DJ while shopping.